On December 19, 2013, the Federal Energy Regulatory Commission (FERC) issued an order in a competitive hydroelectric project preliminary permit proceeding between a municipality and a non-municipality in which it held for the first time that municipal preference will apply only to projects that are in the “vicinity” of the municipality. FFP Qualified Hydro 14, LLC, 145 FERC ¶ 61,255. The competing applications were filed for a project at the U.S. Army Corps of Engineers’ Saylorville Dam on the Des Moines River in Iowa. The non-municipal application was filed by FFP Qualified Hydro 14, LLC (FFP). The municipal application was filed by the Western Minnesota Municipal Power Agency (WMMPA). Both applications were deemed to be filed on the same day and time following the expiration of a first preliminary permit held by FFP. Following acceptance of the applications, FERC issued on October 10, 2013, a notice of its intent to hold a random drawing to determine priority of filing. WMMPA filed a protest, stating that under FERC’s regulations regarding preference among competing applications and FERC precedent, priority of filing is not relevant as between municipalities and non-municipal applicants. On October 23, 2013, FERC held the drawing, which resulted in FFP being assigned the first priority. FERC then stated that WMMPA was seeking municipal preference for a project almost 400 miles from the site of WMMPA’s office in Minnesota and that the record showed no relationship between WMMPA and the proposed project other than a business development interest. FERC found that to give WMMPA municipal preference under such circumstances would not be in the public interest. Having decided that WMMPA is not entitled to municipal preference, FERC then issued a successive permit to FFP based on FFP’s first priority status resulting from the random drawing. FERC’s limit of municipal preference to projects in the vicinity of the municipality departs from its consistent practice for over 80 years of applying the preference regardless of the location of the project in relation to the municipality. If the new policy is retained, the breadth of municipal preference will be substantially limited and FERC will likely have to resolve many disputes regarding whether a proposed project is in the vicinity of the municipal applicant. 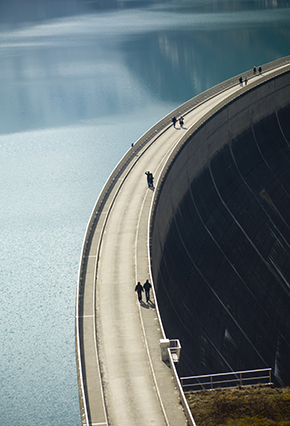 Van Ness Feldman’s hydroelectric practice provides comprehensive legal, policy, and business advisory services for the full range of issues facing the hydropower industry. If you would like additional information on this or any other hydroelectric matter, please contact John Clements in our Washington, D.C office, at 202-298-1800, or any other attorney in Van Ness Feldman’s Hydropower practice in Seattle, WA or Washington, DC.